Tag Archives for " New Davinci Vaporizer "
Whenever a new gadget or device is introduced to the marketplace, it usually creates excitement and curiosity. Consumers are easily drawn to an updated and highly-advanced version of a previously hot item. The same holds true in the vaporizing industry. Vaporizers have become the device of choice of people wanting a healthier alternative to smoking. Manufacturers of this brisk-selling item are working overtime to meet the growing demand. 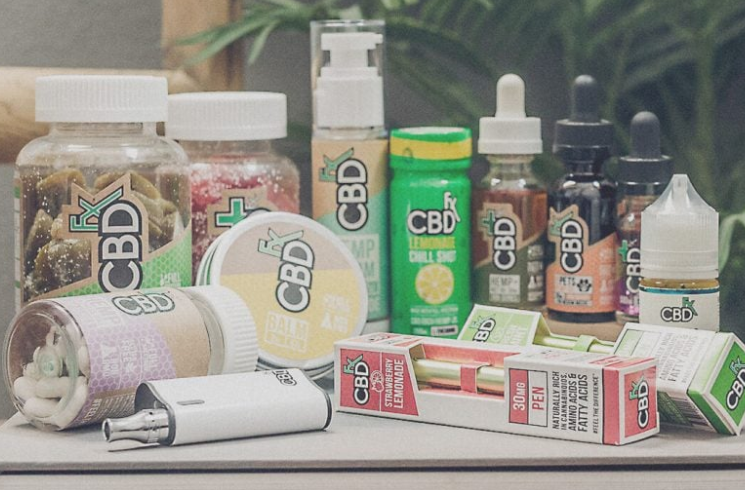 Many are switching to vaporizer products that are handy and convenient to use. The hand-held device has a smaller footprint than a typical smartphone but packs equally intelligent features. But word is getting around that a meaner machine called the DaVinci Miqro will soon rock the vaping world. The name DaVinci is synonymous with vaporizers. The brand has established an illustrious reputation much like the painter Leonardo in his time during the Renaissance period. The DaVinci vaporizers like IQ and Ascent have earned the same distinction in the 21st century. Without getting ahead of the Davinci Miqro, it would be good to give a background why there is so much hype about its impending arrival. First, if you ask vapers which particular vaporizer is among the best, the DaVinci IQ will surely be highly-recommended. Rarely will you ever hear users describe a vaporizer as intelligent. 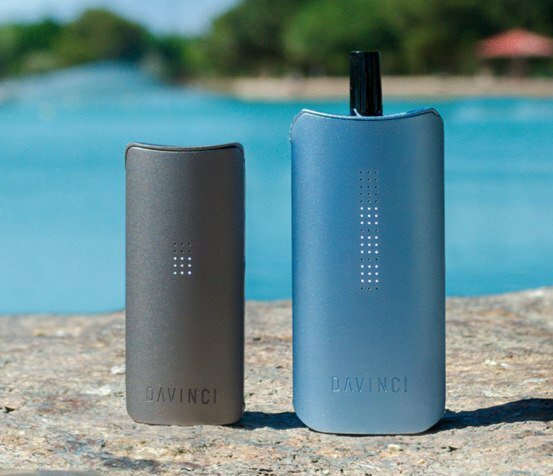 Apart from its unique design, DaVinci used its signature Smart Path technology on the IQ model to deliver the ultimate vaping experience. Second, the DaVinci Ascent preceded the sought-after IQ model. This product of the renowned vaping company is nearly-perfect already. Besides its size, portability, and storage capacity, the Ascent was developed for extended vaping use. The longer battery life is the reason why vapers adore this product. You won’t run out of juice. DaVinci used the highest quality materials in the two premium products. Both have divine craftsmanship. A user gets nothing but pure-vapored flavor and consistent vapor quality. The temperature settings and control features are unrivaled. The heating system of any portable DaVinci vaporizer is perhaps the envy of competitors. Other products pale in comparison to even the basic features of DaVinci vaporizers. Add the Bluetooth app integration and high-tech amenities of the IQ and you get a more powerful, efficient, and reliable vaporizer. The DaVinci vaporizers are undeniably the greatest finds. Hence, the greater expectations on the DaVinci Miqro are not surprising at all. Now that it’s crystal-clear why DaVinci vaporizers are best-sellers, nothing could ‘cloud’ your decision to purchase the new DaVinci vaporizer as well. The DaVinci Miqro is bruited as the genius version of the intelligent IQ model. There is no exaggeration in the description because it’s not just a rework of the earlier models. You’ll be blown away by DaVinci’s latest innovation, stylish design, and pioneering technology. From all indications, this new dry herb steamer will be the toast of the vaping universe. Imagine putting together the best of the Ascent and the IQ plus more. The end product will probably dwarf rival vaporizers in every aspect. The DaVinci Miqro will again have that distinctive mouthpiece they are known for. Regular vapers want nothing more than high purity draws and not miss out on the purest flavor. The zirconium ceramic vapor path serves that very purpose. The Smart Path technology will be integrated into the product once more. DaVinci has actually paid particular attention to temperature settings. They know that a vaporizer is only as good as its built-in heating system for that maximized vaping experience. There is no wastage whatsoever. You can optimize the use of your herb resources by adjusting the oven size by 50%. Hence, you can temper your dose or manage consumption. But users can very well skip the 4 temp settings and customize. There’s an option to switch to the precision mode or manually select the temperature mode. It’s either you choose the ‘smart’ or the ‘boost’ mode. None of them will diminish the device’s performance. The LED lights will be a little subdued this time but bright enough for you to notice the indicators and be alerted. Still, the ease of use is what will set the DaVinci Miqro apart. Cleaning and maintenance is not a tedious task too. The zirconium ceramic vapor path is also removable so it’s easier to keep the vaporizer hygienic and ever-ready for use. When you have this prized-possession, you’ll be encouraged to use the accompanying cleaning kit to do a regular upkeep. You can visit the Official DaVinci website here to learn more or purchase one when it becomes available.